This turned out fabulous, Izzy! I can't stop looking at all of the wonderful details. Love what you did with the frame and layered embellishments. Such a sweet gift! 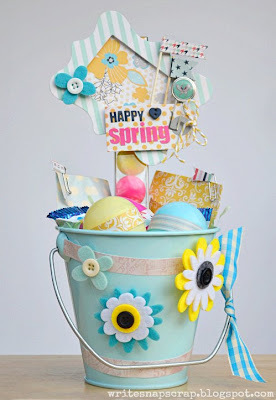 Now this is FUN...I have some of those buckets stashed away somewhere....thanks so much for the wonderful inspiration!!! OMYGOSH!! This is soooooooooooooooo fun!! I love love love it!!! So cute...Happy Easter to you and your family. this is adorable!! love the bucket idea. Will be darling as a table decoration!!! What a fun and cute gift! 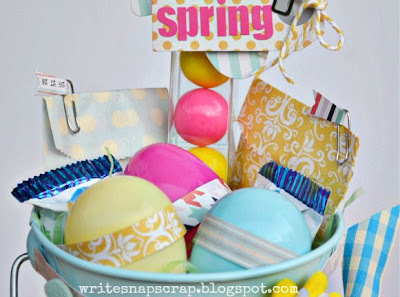 Darling basket, have a happy Easter! Isn't that oh so sweet! Wow, this is so cute! I love all the little details that just makes it so unique. 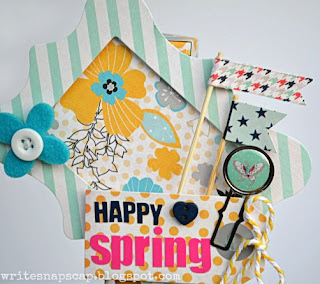 Thanks so much for linking up at Crafty Tuesday!